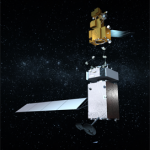 NASA has decided to use a three-dimensional light detection and ranging system for an agency project that seeks to demonstrate an autonomous satellite servicing platform. The agency said Tuesday its Satellite Servicing Projects Division baselined the Kodiak lidar system to transmit images and distance-ranging data during the Restore-L demonstration. Restore-L aims to extend the lifespan of satellites through an in-orbit servicing method. The Kodiak system was originally developed as the Goddard Reconfigurable Solid-state Scanning Lidar through NASA’s Goddard Internal Research and Development program in 2012. SSPD technologists tested the imaging component of Kodak with an Earth remote-sensing satellite model and found that the system’s 3D imaging technology could help address Restore-L objectives when used in conjunction with special algorithms. NASA added the Restore-L project will implement a second Kodiak component that features micro-electro-mechanical scanner and photodetector technologies.